The IEEE Canada R.A. Fessenden Medal: For contributions to communications systems in optical & wireless technology. Leslie Ann Rusch (FIEEE), full professor in ECE and the Centre for Optics, Photonics, and Lasers at Université Laval, holds a Canada Research Chair in Communications Systems Enabling the Cloud. She received the B.S.E.E. degree (with honors) from the California Institute of Technology in 1980, and the M.A. and Ph.D. degrees in electrical engineering from Princeton University, in 1992 and 1994, respectively. While on leave from Université Laval, she spent 2001 - 2002 at Intel creating and managing a group researching new wireless technologies. Prof. Rusch is well known for her research in fast frequency hopped optical code division multiple access (FFH-OCDMA) that influenced large research efforts worldwide. The novel use of fibre Bragg gratings inspired broader application of that technology to OCDMA. Prof. Rusch holds the record for most orbital angular momentum (OAM) modes demonstrated in fiber. Université Laval is the only facility worldwide with OAM fiber design, fabrication, and characterization co-located with coherent detection systems. She is sole author on a broad Intel patent on reconfigurable radio, and authored several highly cited papers on multiuser detection from her thesis and Intel research. Prof. Rusch has published more than 300 journal and conference articles that have been cited more than 5000 times per Google Scholar. 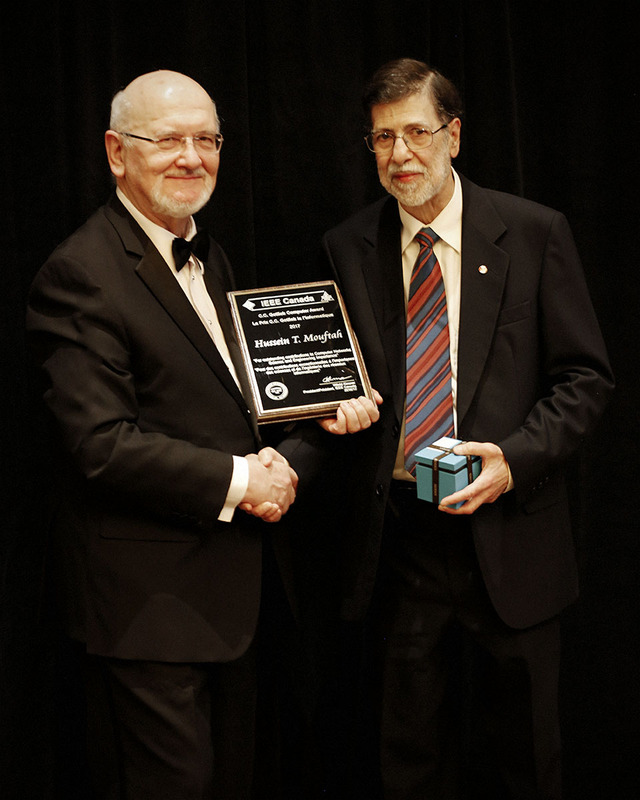 Prof. Rusch received the 2013 IEEE Canada J.M. Ham Medal for Graduate Supervision and is Fellow of the Optical Society of America and IEEE. She currently serves on the IEEE Photonics Society Board of Governors. She was assistant editor of the IEEE/ OSA Journal of Optical Communications and Networks from 2011-2014. The IEEE Canada Power Medal: For contributions to the theory and practice of high frequency power converters. Praveen Jain (FIEEE) received his MASc and PhD degrees in electrical engineering from the University of Toronto in 1984 and 1987 respectively. He is currently a Professor of Electrical and Computer Engineering, a Tier-1 Canada Research Chair in Power Electronics, and Director of the Queen's Centre for Energy and Power Electronics Research (ePOWER) at Queen's University. Prior to this, he had worked at Canadian Astronautics, Nortel, Concordia, ABB and Crompton Greaves. He is the founder of two successful companies, CHiL Semiconductor in digital power controllers; and SPARQ Systems in photovoltaic microinverters. Dr. Jain's advancements of power conversion methods have improved the use of power electronics for practical real-life applications. He developed new single-stage ac-to-dc converters for high-frequency space power distribution systems that provided reduced mass and volume on a spacecraft. He was one of the first to propose control for constant frequency operation of resonant converters that revolutionized the design of ultra-high density power supplies for telecommunications. He developed a digital transient controller for ultrahigh- speed computer processors to supply nearly glitch-free voltage. He also proposed a just-in-time digital control method that has minimized the energy storage requirements in photovoltaic microinverters. Among many awards and honors that Dr. Jain has received are the IEEE William Newell Power Electronics Award, the Engineering Medal of the Professional Engineers of Ontario, Fellow of the Royal Society of Canada, Fellow of the IEEE, Fellow of the Engineering Institute of Canada, and Fellow of the Canadian Academy of Engineering. IEEE Canada C.C. Gotlieb Medal: For outstanding contributions to computer networks science and engineering. Hussein Mouftah (LFIEEE) is a Distinguished University Professor and Tier 1 Research Chair at the School of Electrical Engineering and Computer Science at the University of Ottawa. Previously, he was a professor and associate head with the Department of Electrical and Computer Engineering at Queen's University. He also has six years of industrial experience at Bell Northern Research of Ottawa. Dr. Mouftah is developing next generation technologies that will serve as a foundation for smart cities. He has made significant contributions to the understanding and knowledge of computer networks, including ad hoc and sensor networks related to the Internet of Things (IoT). He is currently developing a solution to securely charge electric and autonomous vehicles within smart grid environments, allowing vehicles to locate the nearest charging station, then book and pay for it. An internationally acclaimed scholar, Dr. Mouftah has authored or co-authored 12 books, 145 industrial reports and more than 1,500 technical papers; to date, he holds 14 patents and six invention disclosures. Dr. Mouftah is a Fellow of the IEEE, the Canadian Academy of Engineering, the Engineering Institute of Canada and the Academy of Science of the Royal Society of Canada. His volunteer contributions to IEEE are numerous. Within IEEE Canada, he served as Chair of the Regional Awards & Recognition Committee. Within the IEEE Communications Society, he has served as Editor-in-Chief of IEEE Communications Magazine, Director of Education and was named a Distinguished Lecturer. He has also served as a Member of the Board of Governors. 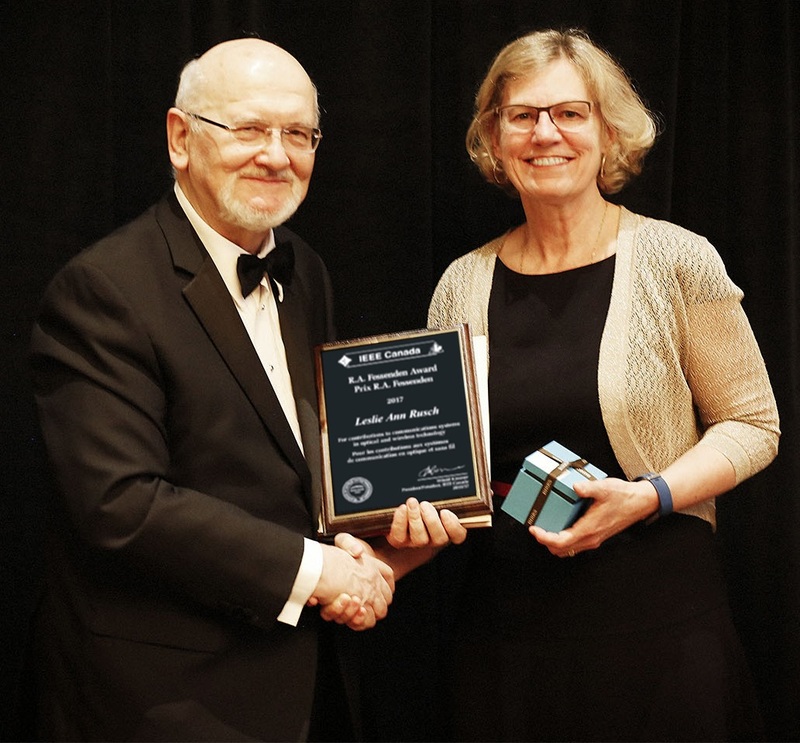 The IEEE Photonics Society Engineering Achievement Award is given to recognize an exceptional engineering contribution which has had a significant impact on the development of laser or electro-optic technology or the commercial application of technology within the past 10 years. Congratulations, David!